An emotional Parveen Rana on Monday vowed to beat the two-time Olympic medallist Sushil Kumar for instigating his followers to attack him and his brother during the Commonwealth Games trials. An emotional Parveen Rana on Monday vowed to beat the two-time Olympic medallist Sushil Kumar for instigating his followers to attack him and his brother during the Commonwealth Games trials and said he is determined to take revenge when the two meet in the upcoming Pro Wrestling League (PWL) clash, scheduled later this month. Rana is hungry for revenge against the double Olympic medallist after losing to him during trials for the Commonwealth Games. Rana said Sushil's supporters threatened him and left his elder brother injured. 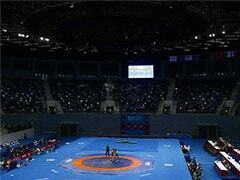 "Around seven or eight of Sushil's supporters came onto the mat and threatened me during the bout. They again became aggressive after the bout and abused me, saying that I should not have fought Sushil since he is a senior wrestler. They tried to attack me but my elder brother came in front of me to defend me and took most of the blows," Rana told media persons on Monday. "My brother has sustained severe injuries on his head and is in hospital. The doctors will carry out an MRI on him since they fear he may have sustained some internal injury," he added. "Sushil did not attack me personally. But I saw him indicate to his followers that they should attack me. Sushil's family members were also involved." Rana and Sushil are scheduled to meet next on January 21 when their respective franchises Veer Marathas and Delhi Sultans meet in a PWL clash. "I will now reply on the mat. I am totally focussed on the bout on January 21 and am confident that I have a very good chance to beat him," Rana said. "If I lose the bout, it is not the end of the world for me. I have just started my career at the senior level. I will prepare for this year's Asian Games and the 2020 Olympics," he added. Rana also said that he fears being attacked in future as well. "Sushil and his long-time coach and father-in-law Satpal Singh have got together a gang comprising wrestlers from Satpal's 'akhada' many of whom man toll booths along the Delhi-Haryana border. I have to pass some of those booths when I go to training. They may attack me again," he said. "My family members are also scared and worry a lot when I go to training. They fear for my safety." Rana also alleged that Sushil and other senior wrestlers do not compete in international tournaments for long periods of time and only try to come into the national squad before the Commonwealth Games due to the huge amount of prize money available to medallists in that tournament. "We youngsters compete in most of the international tournaments -- including the World Championships -- most of which are tougher than the Commonwealth Games. 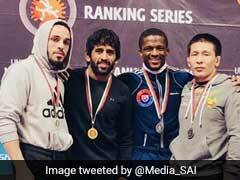 But the Asian Games and Commonwealth Games have a lot of prize money so during that time the senior wrestlers try to force their way into the squad by bullying the youngsters," Rana said.